Shortly after buying my BASH ticket there was a post letting us know if anyone wanted to contribute to the VIP Swag bags to let the admins know. Lets just say my interest was piqued. But what to make? I didn't want to put my tulle poms in the bag because I was putting those on the mini swag bags I was handing out as part of my business cards. And these VIP bags were going to the party girls who's work I admired and had been following for years! After much consideration I decided to make masks. The theme for BASH was a travel one and the masks would fit in perfectly. A little taste of travelling to New Orleans for Mardi Gras. I set about creating 50+ different masks. I ordered the masks from Mardi Gras outlet , used various crafting supplies I had on hand and of course, hit the sales. Every surface in my living room and dining room were covered in masks. My man is simply wonderful when I go all craft crazy and take over the house with my projects. He's become accustomed to finding glitter everywhere, I do mean, everywhere, feathers floating around and rarely being able to actually eat at the dining table. 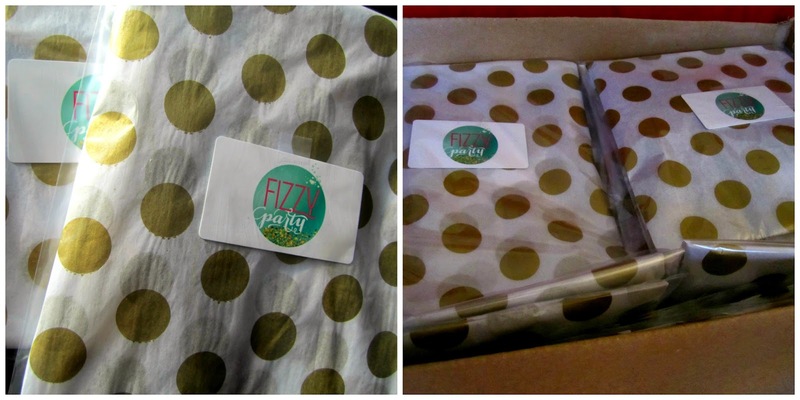 Package presentation is everything in the party world and I knew exactly what products I wanted to use. The packaging couldn't be too big because the masks were going in the VIP bags along with a lot of other products. I contacted Nashville Wraps to see if they would be willing to partner with me. I love their products and knew a lot of the party people did too. Many of the party people attending the BASH Conference also sell items and I wanted to expose them to the wonderful products of Nashville Wraps. 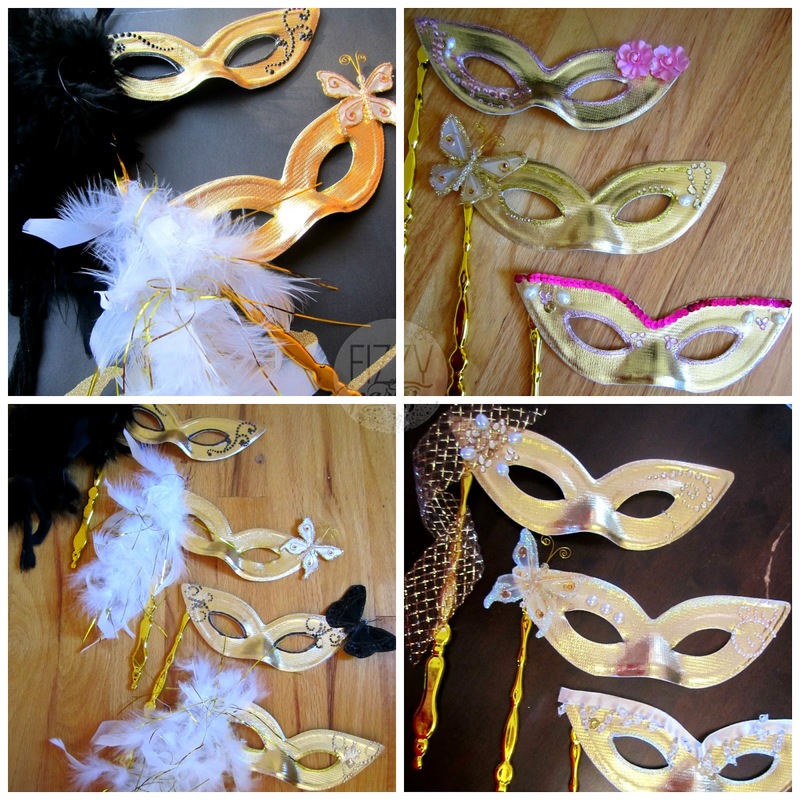 I used the gold ribbon on many of the masks and wrapped the masks in gold polka dot tissue paper because it resembles confetti which is part of my logo. After wrapping the masks in the tissue paper and adding my business card I tucked the masks into plastic bags and packed them up to ship off to Arizona. Tissue paper, gold ribbon and plastic packaging bags provided by Nashville Wraps. YEAH! I'm so glad you love yours. What a great place to hang it, the mask can provide cookie inspiration.